Now accepting contracts for our newest community! 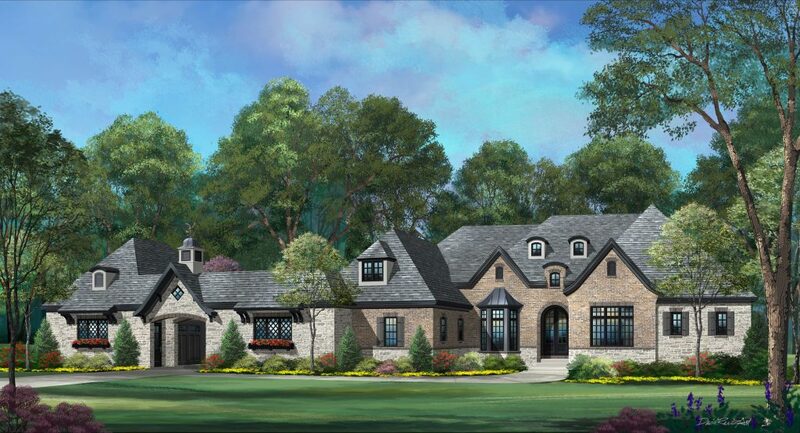 Call Tracie Baum at (314) 469-4888 to reserve a home site where we can build your custom dream home. 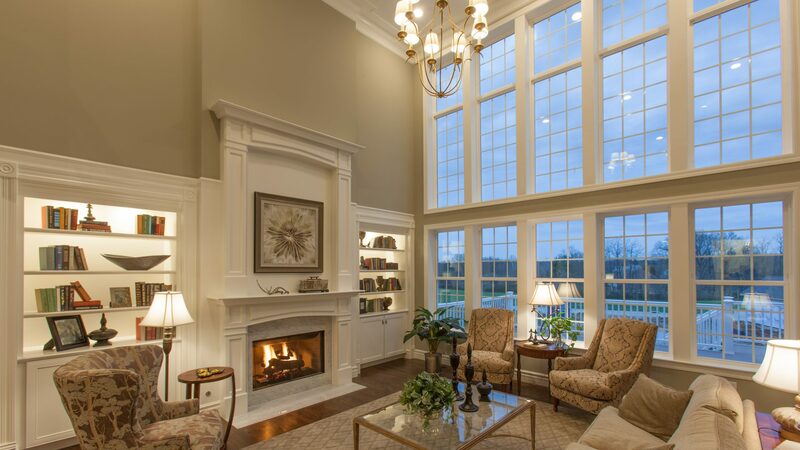 You may select a home from our extensive portfolio or we can custom design a home that fulfills all of your requirements! 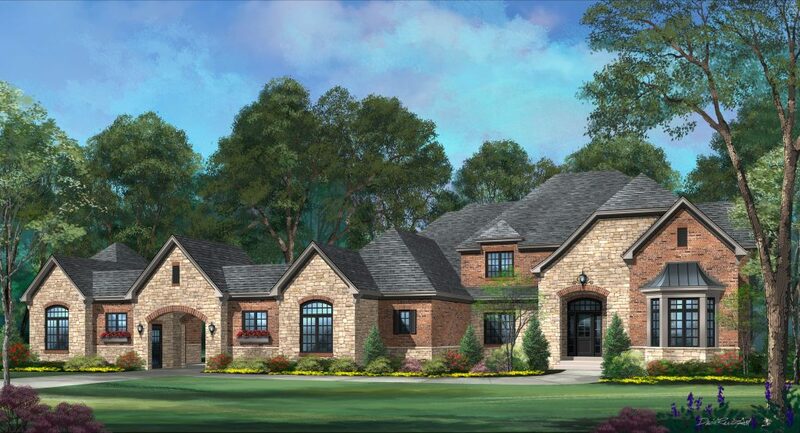 Stonechase on Conway is located at the south side of Conway East & Woods Mill in Town & Country and features lots over one acre in size. Split ranch, 4 bedrooms, 3 full baths, 1 half bath, hearth room. Approximately 5,158 square feet. 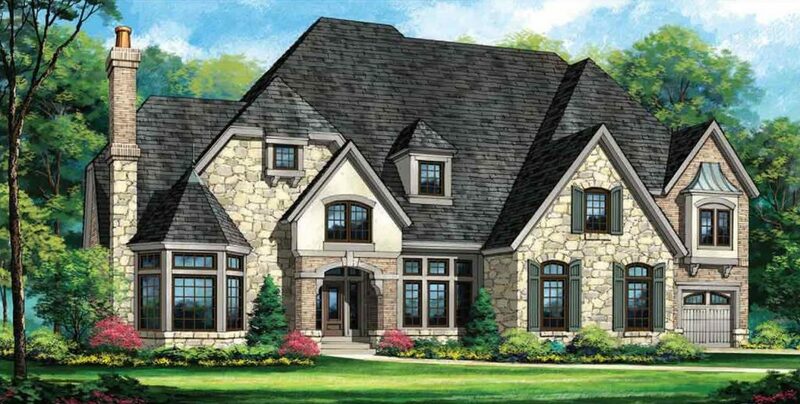 Optional porte cochere available. Adult 1 1/2 story, 4 bedrooms, 3 full baths, 2 half baths, hearth room. Approximately 4,800 square feet. Optional porte cochere available. Adult 1 1/2 story, 4 bedrooms, 3 full baths, 1 half bath, hearth room. Approximately 4,850 square feet. 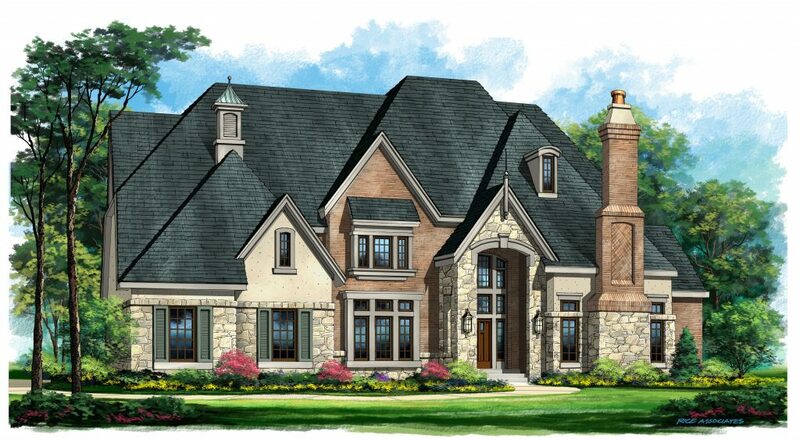 Optional porte cochere available. Adult 1 1/2 story, 4 bedrooms, 3 1/2 baths, hearth room. Approximately 4,800 square feet. Optional port cochere available. Adult 1 1/2 story, 4 bedrooms, 3 full baths, 2 half baths, hearth room. Approximately 4,259 square feet. 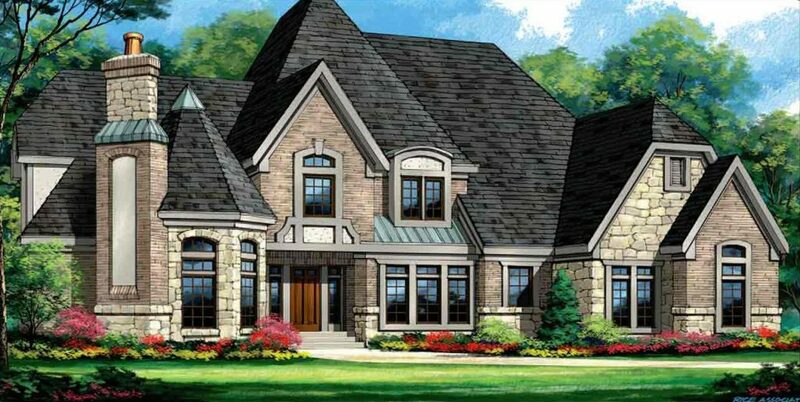 Optional porte cochere available. 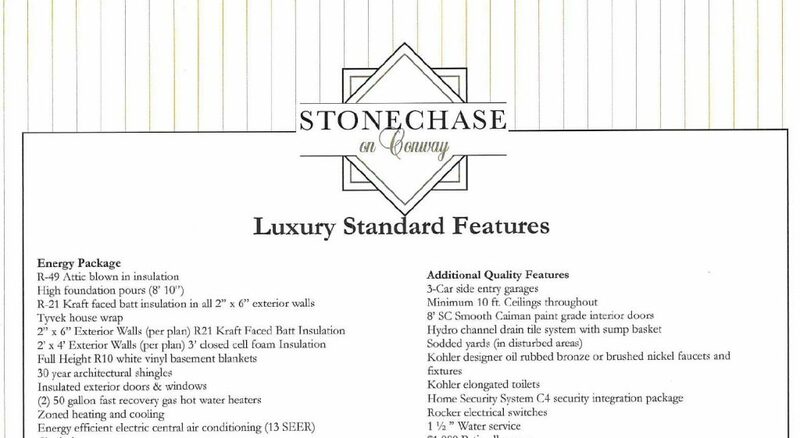 features offered by most builders. 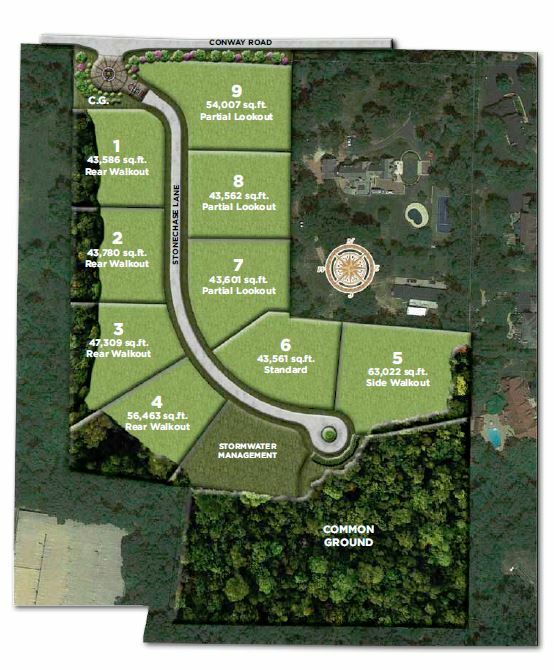 An exclusive luxury community with 9 home sites on 18 acres and plenty of green space. 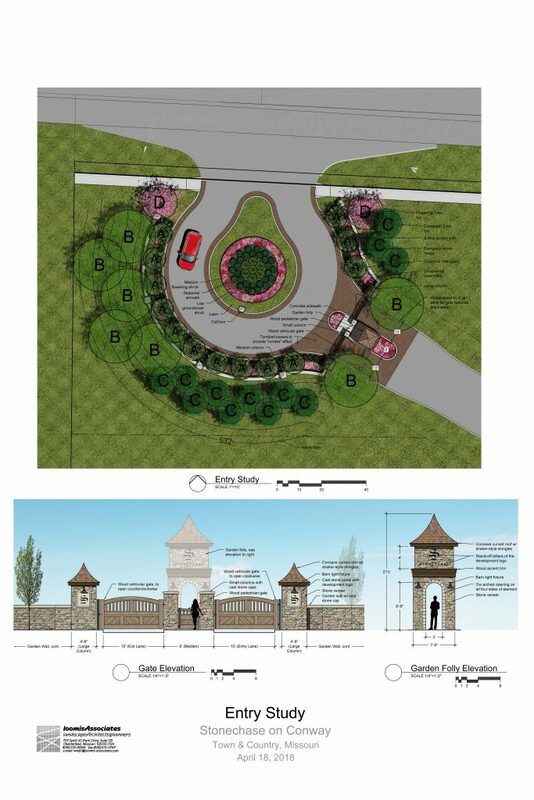 This preliminary plan shows the stunning entry monument, preliminary landscape plan and gated access to the community.